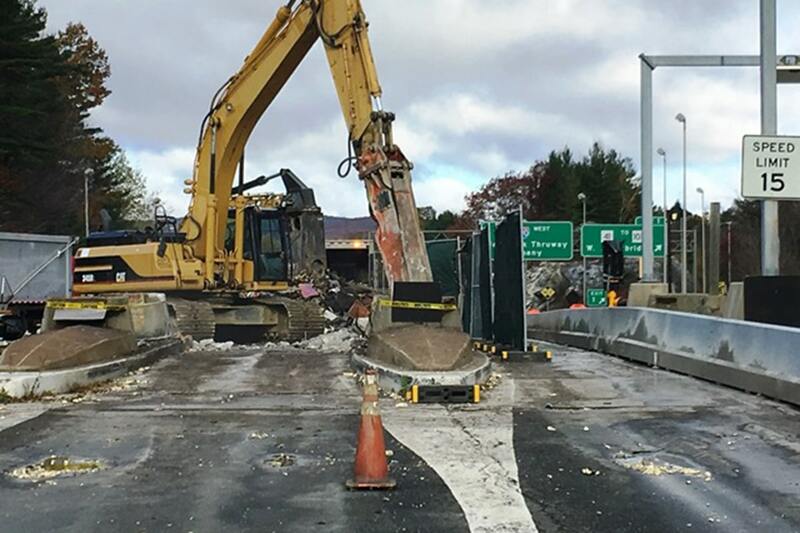 I-90 Toll Booth Demolition & Reconstruction - J.H. Maxymillian, Inc. 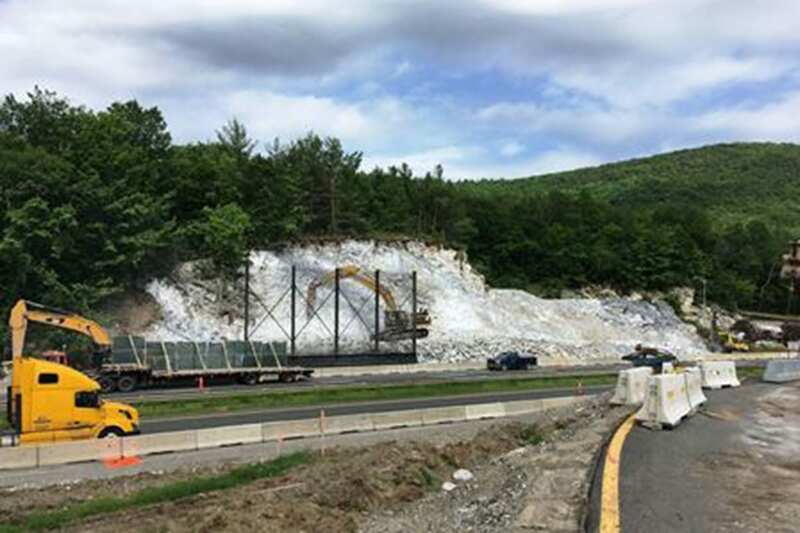 In this high profile project, Maxymillian completed the full demolition and reconstruction of the Mass Turnpike Toll Booth Plazas 1 & 2 in Lee and West Stockbridge, MA. Maxymillian completed all work on or ahead of schedule and achieved 100% of MassDOT incentive goals. 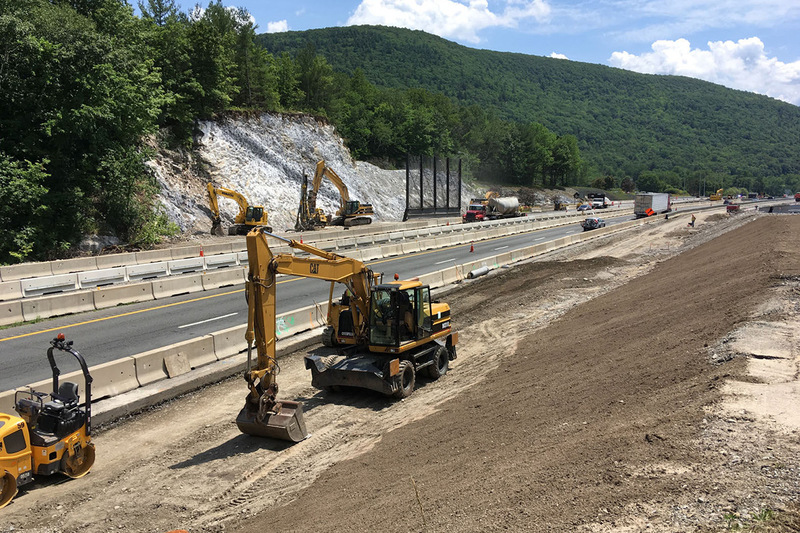 The fast tracked pace involved the following Maxymillian scope: 29,000 CY of earth excavation; 27,000 CY of rock removal; 23,000 CY of rock and demolition debris recycling to create gravel for roadway subbase; over 200 drainage structure installations; more than 11,000 FT of drainage pipe; 5,000 FT of fiber optic duck banks; 93,000 SY of pavement milling; over 36,000 tons of asphalt laid; over 1 mile of asphalt saw cutting; over 4 miles of granite curbing installation; 33,000 ton of new pavement; 8.5 miles of line striping; 22,000 FT of guardrail work; 5,000 CY of topsoil; and over an acre of seeding and landscaping.